Using smartphones to learn is a growing trend thanks to the efforts of cross-platform learning services. For now, learning on mobile isn’t nearly as efficient as learning on a computer but a minute here and a minute there really adds up over time. 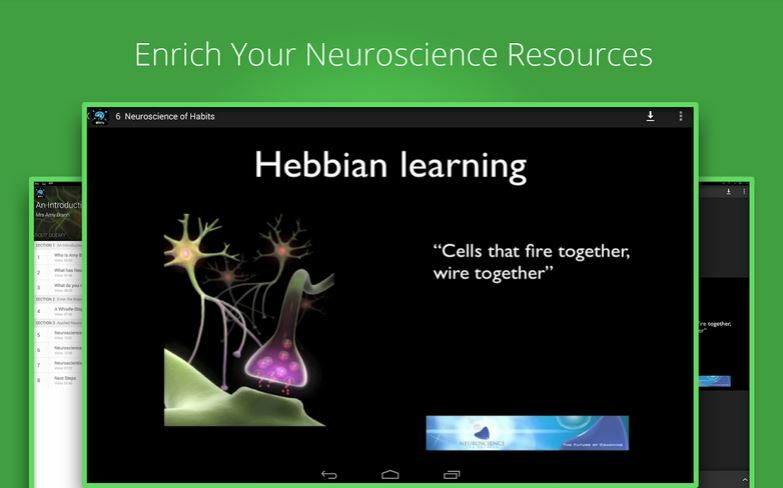 If you’re interested in learning neuroscience or about the brain in general, check out the best free Android neuroscience apps. 3D Brain presents a 3D model of a brain that shows users the various parts of the brain and explains what they do. It also explains things like what happens when various parts are injured and each part’s role in mental illness. Use your touch screen to rotate and zoom around the interactive brain structures. Each detailed structure comes with information on functions, disorders, brain damage, case studies, and links to modern research. The 3D images are easy to manipulate and there is plenty to explore. If you want to study neuroscience, this is a fun start. 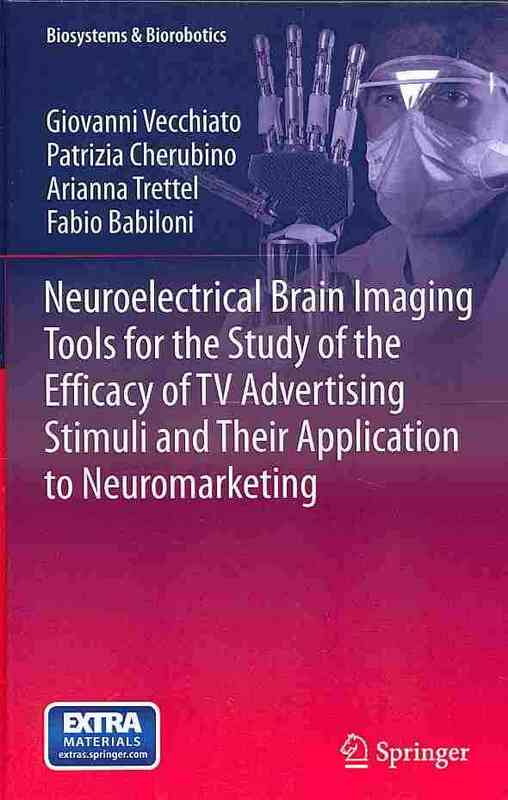 Neuroscience is one field that is providing a valuable source of practically applicable information. With over 5000 studies being published every month there is a lot of jargon heavy research to work though. This application is a neuroscience course from which you will learn: Over 8 lectures and 1 hour of content; Understand how neuroscience underpins Coaching; Know the benefits that neuroscience brings to Coaching; Learn the basic relevant neuroanatomy and neurochemicals;• Become aware of how neuroscience helps you sell Coaching more effectively; Explore the neuroscience of goals; Investigate the basic neuroscientific mechanism behind habits; Discover applications of the neuroscientists best kept secret. It features: lifetime access to 8 lectures; a community of 1200+ students learning together; watch courses in offline: save courses for offline viewing so you can watch them while you’re on a plane or subway; watch courses on the go: video lectures, audio lectures, presentations, articles and anything inside your course. 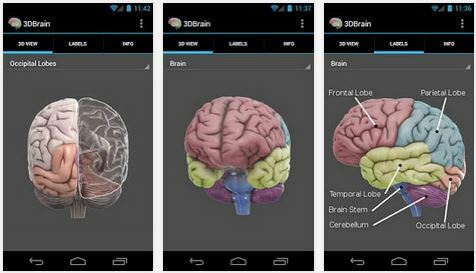 With Brain Tutor 3D you can explore the brain from the palm of your hand and learn about the structure and function of the human brain by interacting with high-resolution rotatable 3D models in real-time. Brain Tutor uses rendered head and brain models as well as fiber tracts that were created from magnetic resonance imaging (MRI) scans of a study volunteer. The MRI data allows to look “inside” the brain using real-time slicing at millimeter resolution. 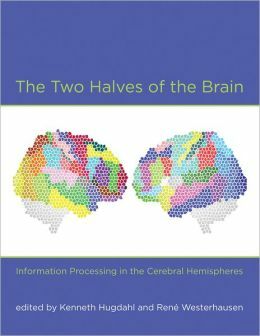 For students, cognitive neuroscientists, medical professionals and everyone interested in the brain, the program provides information about the anatomy and function of the human brain with various atlases describing and visualizing lobes, gyri, sulci, Brodmann areas, subcortical structures, selected specialized functional areas and major fiber tracts. With Brain Tutor you can: Explore high-resolution 3D models of the head and brain in real-time; Visualize major white matter fiber tracts; Slice the brain along three axes (sagittal, axial and coronal); View MRI brain slices at millimeter resolution; Learn from text information about the functions of selected lobes, gyri, sulci, subcortical structures, Brodmann areas, functional areas and fiber tracts; Learn where brain structures are located both within 3D brain models as well as in MRI slices. 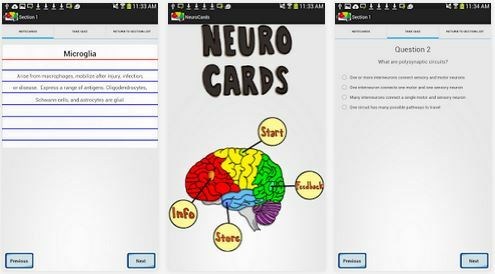 NeuroCrads is a neuroscience studying app, in which you can easily review notecards of pre-added terms and take quizzes to ensure that you know what you’re talking about in your studies. You can progress through the sections by passing the quizzes at the end of each section. The app is best suited for people starting in a neuroscience program, but it’s free so anyone is welcome to it. The Journal of Neuroscience is the official journal of the Society for Neuroscience. The Journal publishes papers on a broad range of topics of general interest to those working on the nervous system. Authors also have an Open Choice option for their published articles. 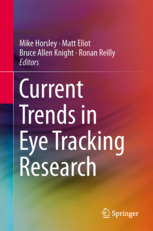 This application allows access to the abstracts of this high impact journal, so it is of great value for any researcher. NeuroSclice is an interactive neuroanatomy app that helps you learn your neuroanatomy using interactive mapped images. Each slice has neuroanatomical regions mapped out so that you can familiarise yourself with nuclei and tracts of the brain and spinal cord. NeuroSlice can be useful to training neurologists, neurosurgeons, medical students and neuroscience students. It comprises 40 images taken from MRI scans and stained brain sections, which have been digitally labeled with the anatomical regions. They are all downloaded in the app so you can browse offline.The program allows you to: touch a region to highlight it, and its name will be displayed; select the name of a region, and the region will be highlighted; search the database of regions to show which slices a given locus is visible. Most regions also have a short description, explaining the significance of the region. The app offers straightforward and interactive anatomy identification functionality that serves as a one-of-its-kind study tool for students preparing for those difficult neuroscience and neuroanatomy classes at universities or medical schools. 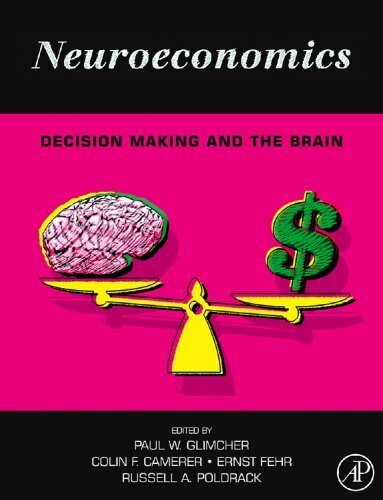 These apps offer an unique approach to the field of neuroscience and they can be great supplements to textbooks and functions well as a quick review of important structures that might be emphasized in neuroanatomy classes. However, due to limitations in the quantity of data and images, these apps are definitely by no means a replacement for actual classes or textbooks. Enjoy using these apps and if I missed any other great apps, let me know in a comment!